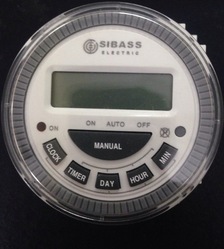 Providing you the best range of digital timer, multi- function meter, led indicating voltmeter and temperature controller with effective & timely delivery. We are highly active in manufacturing and supplying Digital Timer, which are well-known in the market for their precise functionality and sturdy construction. Primarily used, whenever electrical equipment must be periodically switched on and off at pre-programmed daily or weekly basis. These timers are manufactured in accordance with current industrial norms by using high-end technology and quality-tested raw materials. 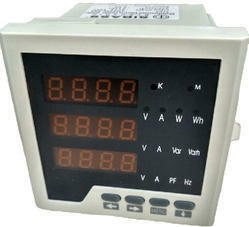 LED indicating voltmeter capable of displaying voltage supplied to it. Looking for Digital Timer ?